In this new slot from Spinomenal, players get to be part of an elite diving team who risk their lives to search for lost treasures. You join them in the crushing depths of the deep ocean where not just the environment threatens your life, but also the scariest underwater creatures you will ever see. 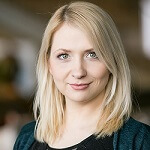 Underwater themed slot games like Sea Hunter, Subtopia and Eye of the Kraken have been big hits for their respective developers and Spinomenal have made a smart move here. 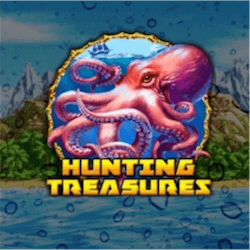 While underwater themed slots are common, Spinomenal have managed to create a stand out title with Hunting Treasures. For a start the graphical style, while animated, certainly looks the business. The realistic looking reel icons and the excellent atmosphere created by the soundtrack makes this a very engaging slot game. The 5×3 reels feature 50 paylines that may be a bit much for many players as each spin can be quite expensive. If you are a high roller you may be happy to know that you will be able to place a wager of up to 500 here. What should blow most slot fans away is the amazing selection of special features that Spinomenal have built into Hunting Treasures. This includes the Kraken free spins, the treasure hunting bonus game as well as a host of randomly triggered special features. Hunting Treasures is constantly surprising you with additional features that pop up during play. For example, randomly between 4 and 12 wild icons can be added to the reels after any spin. There is also the additional Win Multiplier feature that can randomly multiply a win by up to 5x. Finally there is the additional respin feature that activates during the free spins game. After any winning spin here, players will get one additional respin in the form of the reel icons shifting down one row. The in game reel symbols are made up of familiar undersea staples like a beautiful mermaid, a giant octopus called the Kraken, a skull with a crab inside it and a sunken wreck. You also get the expected playing card symbols but in Hunting Treasures they are made up of a beautiful arrangement of shells, weeds and undersea creatures. Hunting Treasures is a great title from Spinomenal and is definitely a standout in their catalogue. The relatively low RTP rate of just over 95% here may put some players off but they will be missing out on some excellent and exciting deep sea slot action.